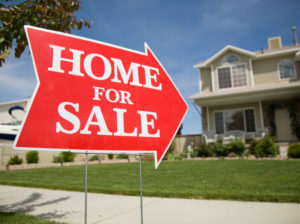 So what exactly is the process in Orange County for selling a home? Well, it’s pretty much the same as it is anywhere else in California. In fact, the overall process is pretty similar throughout the entire country, however the details do change from one region to the next. For example, in Orange County we have certain customs as far as who pays for which closing costs, but these might be entirely different in other parts of California and certainly in other states. 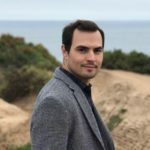 So, for this article I’m going to provide a detailed overview of the home selling process here in Orange County, California. Your home is likely the most valuable asset you own, so you should seek out a Realtor that you can trust to give proper guidance and look out for your best interest. It’s easy to think of a real estate agent as a commodity, but the truth is that the level of experience, knowledge, and work ethic will vary widely from one agent to the next. So, check out this article on what you should expect from your agent, and then start interviewing agents for the job of selling your home. The next step is to determine what price you’re home will likely sell for by analyzing the nearby comps. Your agent can pull recent data and create a comparative market analysis for you. This report is a comprehensive look at all of the similar homes that are for sale, pending, sold and expired. Once you have all of this data you will have a very good idea of what you can expect to sell for, and how long it could take to sell. When you go over the comps with your agent, one of the things you’ll notice is that the prices of comparable home sales can vary considerably. You will generally end up with a “range of value” rather than an exact price. Typically, whether you are at the bottom or top of this range will depend on the condition of your home and how upgraded it is. Home for sale, you may want to consider doing some light renovations and cosmetic repairs to increase the home’s marketability. While there are many cost effective things you can do that can ultimately help you get a better price for your home, you should be careful not to overdo it. Some upgrades are just to expensive and can actually be money-losers if the increase in value you get is outweighed by the cost of the project. You will also want to make sure your home is properly staged for showings. From the moment a buyer walks into your home you only have a few seconds to make a great first impression. This first impression can actually make the difference between the buyer making an offer, or moving on to something else. Once you’ve finished all your renovations, repairs, and had the home staged, it’s time to list it. 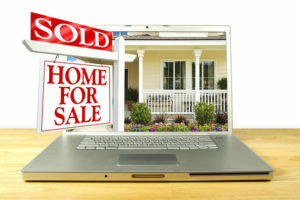 The vast majority of buyers will learn about your home online, so your agent should do everything he can to make it look as attractive as possible on the internet. A good agent will hire a professional photographer that specializes in real estate to take the photos. Some agents will also create a video tour and have a 3D scan done of your home. This allows buyers to interactively explore your home from the comfort of their computer, and ultimately increases the chance that they will want to come see it in person. If making your home attractive is half of the marketing equation, the other half is advertising. Advertising is the actual paid promotion that is done for your home. Depending on your market your agent should execute a paid promotion campaign. This can include anything from paid social media ads, google ads, advertising in local magazines or newspapers, direct mail campaigns, or door to door flier distribution. At the end of the day, marketing is the most important thing you will do to sell your home. Whether it’s a strong seller’s market or not, better marketing means more exposure, and more exposure ultimately leads to a better price. For some sellers, one of the most challenging parts of selling their home is accommodating showings. Your agent can install a lock-box on your home so that buyer’s agents can gain access while you are away. If you aren’t comfortable with a lock-box, you can stipulate that all showings will be on an appointment-only basis. If you opt to do appointment-only showings, then be prepared to be as accommodating as you can. Most buyer’s are seeing several homes in a row. The reality is that if they can’t get an appointment that lines up with their viewing schedule, they will likely just skip seeing your house. You don’t want to miss opportunities to show your home to prospective buyers. Finding a buyer isn’t all that hard, but finding multiple buyers and getting multiple offers is the best way to gain leverage as a seller. As a seller with multiple offers you will be in a strong negotiating position and will ultimately be able to get the best price possible for your home. If you’ve positioned your home effectively and executed a comprehensive marketing plan, you should get multiple offers on your home. Now it’s time to refine these offers. 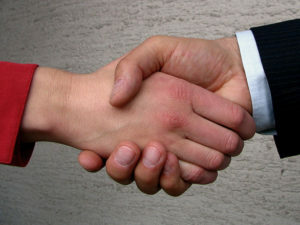 Your agent will help you evaluate all the offers you’ve received. You don’t necessarily want to go with the highest offers right away. You should select the offers that are closest to what you want overall, but are also from qualified buyers that are likely to close without to many delays. Once you’ve selected the best offers it’s time to write up counter-offers. You can give each prospective buyer the same counter, or you can counter each one differently depending on what your goals are. Throughout the negotiation process you will likely go back and fourth a few times with each buyer. As you near a deal, a few buyers might drop out. That’s okay, as long as you still have more than one buyer you still have enough leverage to zero in on a fully executed purchase agreement. Once you’ve accepted an offer(and perhaps a backup offer) you are ready to open escrow. The date that escrow opens is important. Nearly every timeline in the purchase contract begins on the date that escrow has opened. Once escrow has opened your buyers need to deliver the earnest money deposit by a specific deadline, usually 3 days from the date of opening escrow. More importantly, the opening of escrow also starts the clock on all of the buyer’s contingency periods including the inspection contingency, financing contingency, and appraisal contingency. The escrow company serves as an intermediary between all parties. They collect and hold all funds until the transaction has been completed, at which point everyone will receive a check for whatever they are owed and the buyer will get a signed deed. As the seller you typically have a week to deliver disclosures to the buyer. There are a lot of disclosures that need to be filled out and signed including the Natural Hazards Disclosure, Real Estate Transfer Disclosure, Lead Based Paint Disclosure, Seller Questionnaire, and many more. If the buyer is getting financing, then at some point during the appraisal contingency period a time will need to be arranged for the appraiser to come inspect the house. Your agent will likely work with you and directly with the appraiser to set this time up. A good agent will also meet the appraiser and prepare some comps or documentation that help support a value at the agreed upon sale price. During the buyer’s inspection contingency period, you will also likely need to accommodate a home inspector visit. The home inspector will thoroughly evaluate your home looking for any and all defects, problems, and irregularities. 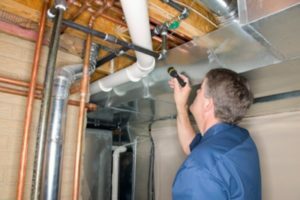 The home inspector is not typically an expert in the various systems of a home, so the buyer may hire additional trades to come do inspections. This can range from septic inspectors, electricians, plumbers, roofers, termite inspectors, etc. You will generally be required to insure that all utilities are turned on during the inspection period so that the home’s systems can be properly assessed. Once the results of these inspections have come in, the buyer will generally try to renegotiate the price, or request that certain repairs be made. If you have a backup offer in place, you can go back and see if the backup buyer would agree to buy the home at the current buyer’s price but without these repairs or credits. If the backup buyer agrees you can use this as leverage with the current buyer when negotiating these items. However, I would highly recommend that you remain reasonable. Just because the backup buyer has agreed to not request certain repairs, doesn’t mean they won’t find some other reason to request a credit. If the requested credit or repairs seem fair, then you should probably consider agreeing to them, or at least meeting in the middle somewhere. Once the repairs have been negotiated and the appraisal has been done, it is time for the buyer to remove their contingencies. In California, contract contingencies are generally actively removed as opposed to passively removed. This means that just because the agreed upon time frame has elapsed does not mean that the contingency period is automatically over. The buyer must sign a document removing them. If the buyer refuses to remove them, you can compel them to do so by delivering a document called the Buyer’s Notice to Perform. Once the contingencies are removed the next step is to close escrow. Once the funds have been issued from the buyer’s bank, the title company will payoff any existing liens on the property, record the deed with the county, and send the remaining funds to escrow for distribution. Escrow will then issue the seller, buyer, agents, and any other involved parties the money they are entitled to. Typically seller’s in Orange County, CA vacate the property either on the close of escrow or in the days following the close of escrow. However, there is no hard rule, so it just comes down to whatever you and the buyer have agreed to. Posted in California, Orange County, Real Estate, selling and tagged appraisal, closing costs, comparative market analysis, counter offer, determine home value, home inspection, home selling process, home value, how to sell you house, inspection contingency, listing agent orange county, marketing your home for sale, negotiating home sale, orange county realtor, real estate negotiation.